Welcome to Kalamazoo College's award-winning recycling program! 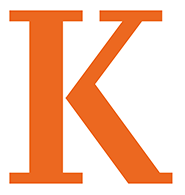 From its inception in 1992, the Kalamazoo College Recycling Department has used its mandate to create a more sustainable campus and to expand its initiatives to include the reduction of waste and the re-use of materials. From bike-borrowing to offering used school supplies and dorm room items, our recycling program exists at the forefront of Kalamazoo College's commitment to sustainability and a carbon-neutral campus. Use the menu on the left to explore the program!